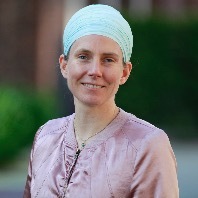 Studium der Germanistik, Erziehungswissenschaften und Psychologie, Psychotherapeutin (HP) in eigener Praxis, Gestalttherapeutin, Paartherapeutin, Ausbilderin und Lehrerin für Kundalini Yogatherapie und Kundalini Yoga, KRI Associate, Lehrerin für Schwangere und Kinder Geschäftsführerin der Fachausbildung Yogatherapie und liebende Ehefrau und Mutter von 5 Kindern. 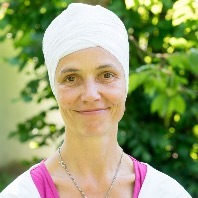 Sahib Kaur Sass, Hamburg, Germany Professional Teacher Trainer Level 1 KRI / Karam Kriya School Founder of Sat Nam Kids- International Teacher Training for Children Yoga. Languages: German and English. 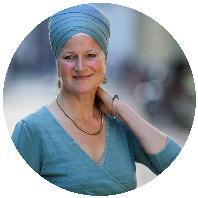 Sat Hari Singh has committed his life to bringing the Mantras, Music and scriptures from the science of Kundalini Yoga as taught by Yogi Bhajan to a broad audience. He began studying Kundalini Yoga in 1980. He is an internationally recognized Yoga-trainer, musician and author, who just recently published the book “The heart of Yoga”. Sat Hari Singh is also one of the early elders of the company Golden Temple, the home of YOGI TEA®. 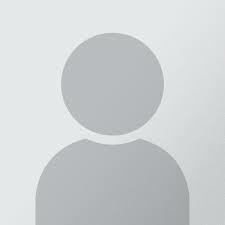 He has a deep knowledge of Ayurveda and ayurvedic herbs and spices. 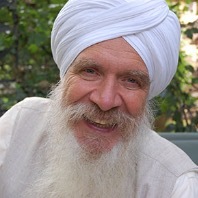 In 2016 he founded the Guru Ram Das Aquarian Academy in Boizenburg, Northern Germany.